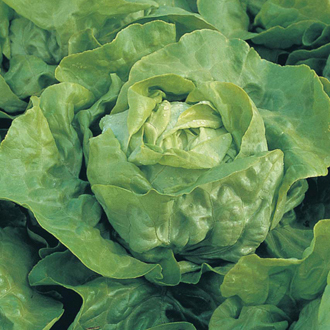 An outstanding, soft-leaved lettuce, producing tasty heads of medium size. Very good for both early and late sowings, it is virus-tolerant and resistant to 10 strains of mildew. Sow outdoors Jan-July, thinly. For earlier crop sow late Jan-Feb under glass and plant out late March, 1.5cm/half-inch deep. Rows 25cm/10in apart, thin out to 20-25cm/8-10in. Sow at two weekly intervals for succession. Harvest May-October.